1.5 x life-size. 3D model of male urinary system and its blood supply is free standing, enabling study from all aspects. 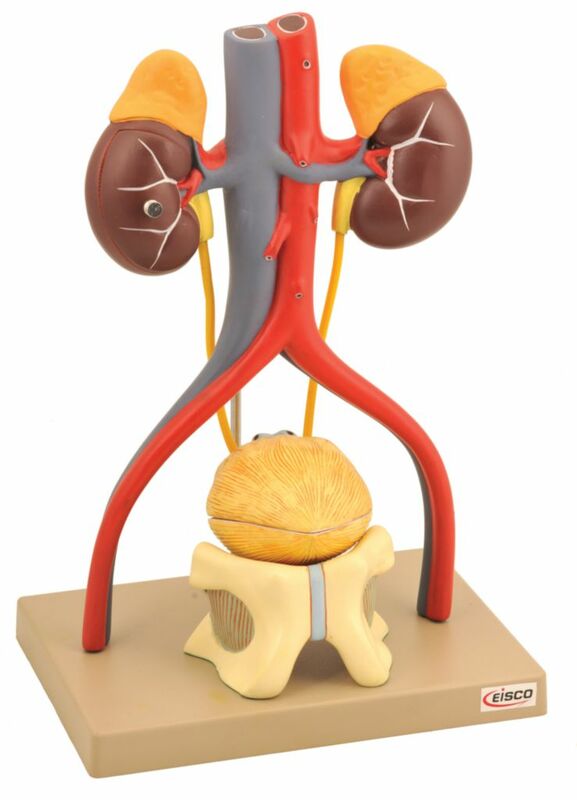 The kidneys, adrenal & blood vessels, a section of the pelvic bone with pubic symphysis, lower portion of the bladder and prostate, the upper portion of the bladder and prostate.